Dr Maria Barretto is chief executive of the PDMDS. 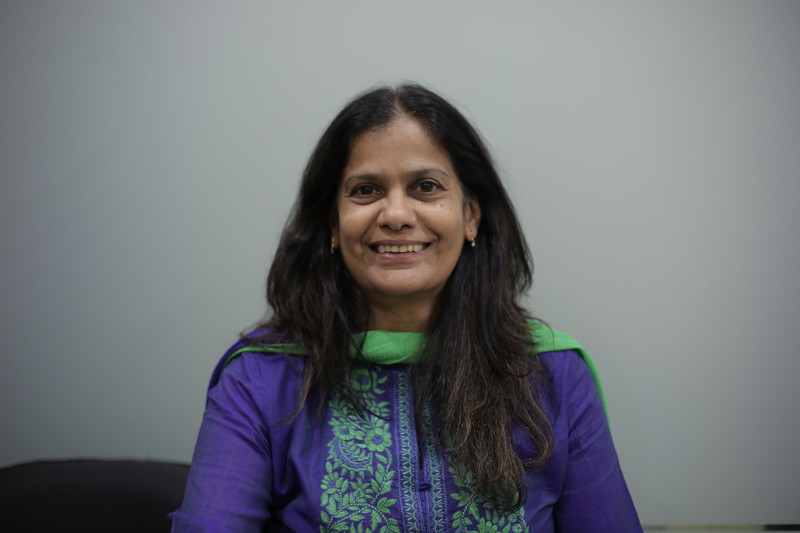 She has a PhD in psychology from the University of Mumbai and has undertaken numerous Parkinson’s-related research studies. Mumbai is hardly a straightforward place to administer healthcare. Being the most populous city in India and the second most populous city in the world, it is home to 18 million people. On the one hand, some of the world’s wealthiest people cruise the streets in their limousines with money to burn, while on the other hand, just a block away, millions live in abject poverty in some of the globe’s most desperate slums. To complicate matters, there are no large epidemiological studies on the prevalence of Parkinson’s in India, and the country’s life expectancy has increased thanks to improving healthcare and the ageing population. Such factors have naturally increased the burden of neurodegenerative illnesses such as Parkinson’s – as is evidenced by the Zoroastrian community (largely based in Mumbai), which is reported to have the second-highest prevalence of the disease in the world. In addition, a ratio of just 80 neurologists for the sprawling city – there are only 1,200 neurologists for the 1.2 billion people in the entire country – is much lower than many other developing countries. The already over-burdened neurologists, therefore, are simply not able to take on the task of patient education and support. 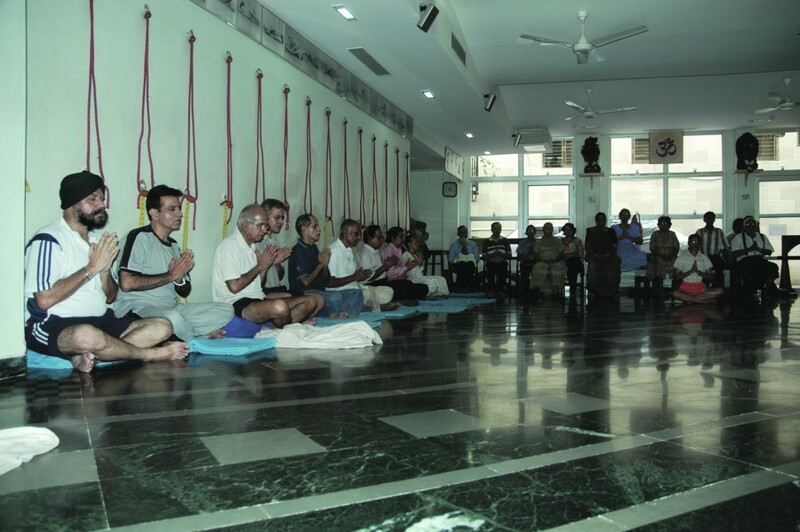 Sensing this need, Professor Bhim Sen Singhal founded the Parkinson’s Disease and Movement Disorder Society (PDMDS) in 2001, a not-for-profit organisation dedicated to improving the quality of life of Indian people with Parkinson’s (PWPs) and their caregivers. 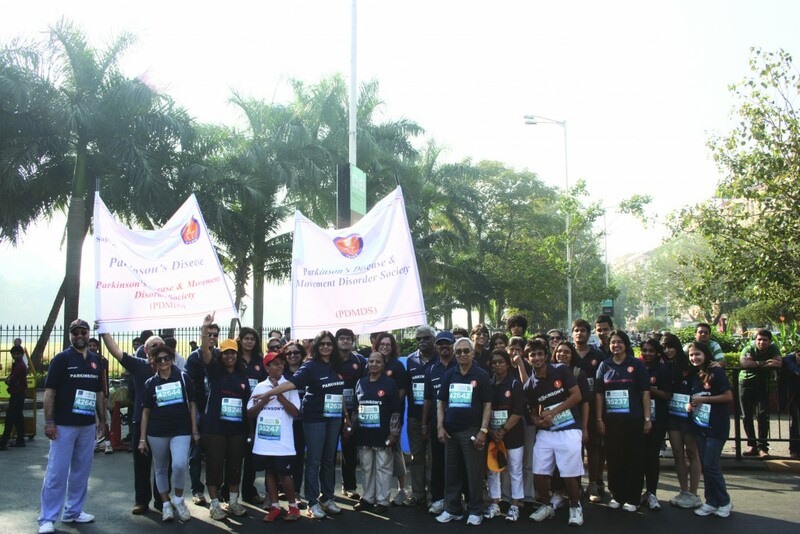 While this remains its main objective, the society also works towards the dissemination of knowledge among the medical community, the public, PWPs and caregivers, and encourages and supports the development of other Parkinson’s organisations within India. Improvement in life expectancy has led to an exponential increase in the number of PWPs. Faced with this challenge – combined with insufficient medical and allied healthcare professionals – the PDMDS has had to develop a model of care that can be delivered to a large number of individuals in a cost-effective way. The key elements of our unique model are: collaboration; the optimum utilisation of available resources; the active engagement of PWPs in their own management; the development of the caregiver as a care integrator; and, most importantly, adapting our services around what works best for the PWPs. Crucially, the enthusiasm and positive responses that we receive from the 800- plus PWPs and caregivers who regularly attend our monthly meetings at the seven locations in Mumbai serves not only as a motivator, but also gives us the confidence that we are working in the right direction. One of the first steps back in 2005 was to address the total lack of information relating to Parkinson’s that Indian PWPs and caregivers received at the time. India’s very low neurologist-to-patient ratio naturally results in a limited discussion regarding the disease. 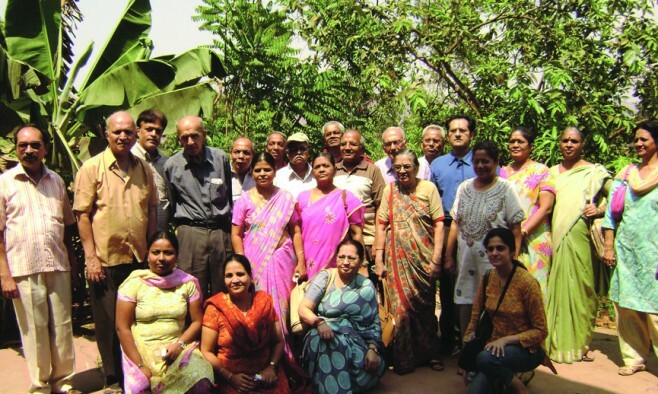 In order to bridge this information gap and to reach out to a greater number of people, we decided on a group approach for dissemination of information and education by starting our first support group in Borivili, a north-western suburb of Mumbai. 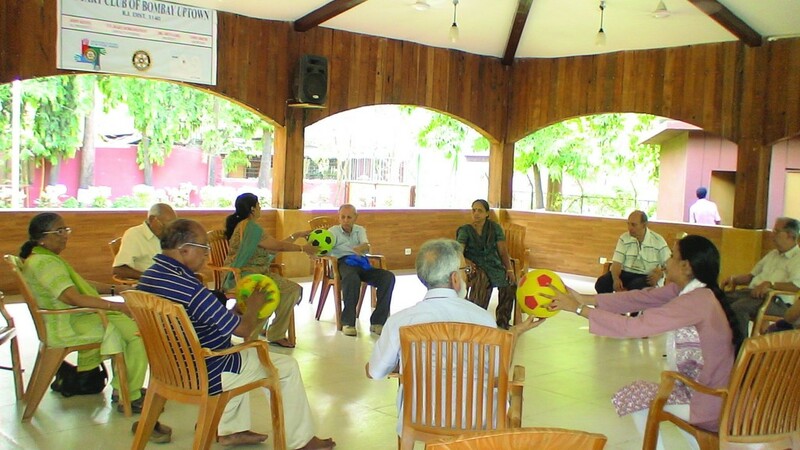 The venue for the group is a community hall, and the monthly event is organised with the assistance of caregivers and PWPs, while medical and allied health professionals provide expertise to promote the multidisciplinary approach. The group has evolved hugely in the past few years. Members have grown beyond being mere passive recipients of information and now display a level of bonding where we frequently witness joy and enthusiasm, the sharing of experiences and mutual learning. Members volunteer their skills and talents and have taken on the added responsibility of inviting other PWPs to attend the meetings. From a group that started in the year 2005 with three members, the number has now grown to more than 100. Buoyed by the hugely positive response to this group, the challenge for the PDMDS was now to replicate the model in other parts of the city. We began collaborating with various other not-for-profit organisations, including government hospitals, charitable trusts and schools to find premises for meetings. With the growing number of support groups, the next step was to identify the necessary resources and management to maintain this momentum; but we had limited finances. Various options were explored and the one we chose was to collaborate with training centres for allied healthcare. Young and enthusiastic postgraduate students specialising in Parkinson’s (and other neurological areas) conducted these programmes under their respective faculty’s supervision. Through our work at an increasing number of public hospitals in Mumbai, we observed that a number of PWPs were not receiving adequate doses of their medication, largely because they could not afford to buy generic levodopa to relieve their symptoms. Accordingly, we initiated a Welfare Fund for Mumbai PWPs, through which we provide financial assistance to help them purchase medication. We have recently expanded this funding for assistive devices, such as canes or walkers, when recommended by a physiotherapist. Such support groups have worked well in reaching out to those PWPs who are able and motivated to attend. However, we observed that we were failing to reach two groups of PWPs: those homebound people unable to attend due to a lack of mobility and those young onset people reluctant to attend due to fear of stigma. We initiated an outreach programme where we visited homes in order to educate, counsel and motivate the caregiver to attend our support groups. For the young onset PWPs, meanwhile, we are currently working to create a virtual social network group through which they can interact online with each other as well as with our team. Our objective back in 2001 was to create a model through which education and information could be delivered to the growing numbers of PWPs in Mumbai through cost-effective initiatives. And I believe we have made excellent strides in achieving our aims. The challenge now lies in taking this model to other parts of India, to encourage and support smaller – but no less committed – Parkinson’s groups and to actively reach out to all the PWPs in the country and to spread the word of Parkinson’s among the wider Indian public. This is an edited version of an article that originally appeared in EPDA Plus. How do you deal with sexuality and intimacy in Parkinson's?